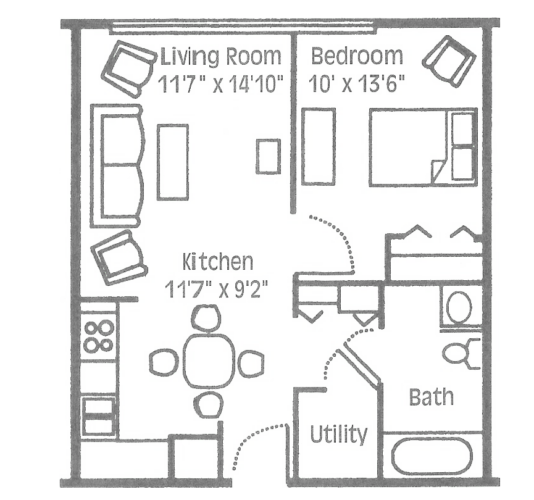 The Villas features 98 studio and one-bedroom apartments in a two-story complex on an attractive campus. Each apartment includes a full bath with ceramic tile and a tub and shower with grab bars. All apartments also have a carpeted living-dining area and a kitchen fully-equipped with a continuous cleaning electric range, self-defrosting refrigerator, and garbage disposal. Ten of the one-bedroom apartments are specially designed to be “barrier free.” These feature roll-in showers instead of the standard tubs with showers. 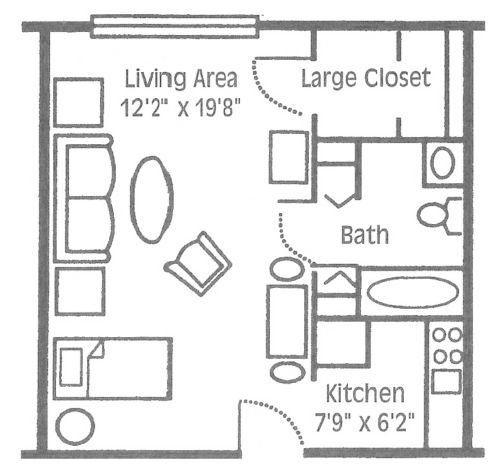 Our specially designed floor plans.